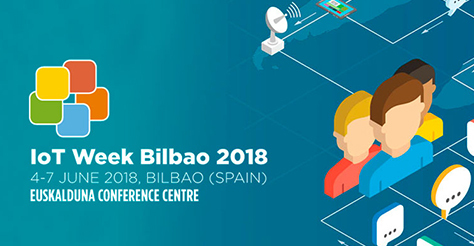 IoT Week 2018 will be held from 4th to 7th of June in Bilbao, Spain and will gather the community of stakeholders engaged in developing new Internet of Things (IoT) technologies and solutions. During the IoT Week 2018, the Euskalduna Conference Centre will host prominent IoT experts, researchers, IoT focused companies, research centres, European research projects, start-ups and international organizations to meet, discuss and identify emerging trends and technologies that will impact the future. At the workshop “IoT in Manufacturing: Enabling Industry4.0”, MIDIH will shows a presentation on the "Digitising EU Manufacturing Industry: the I4MS program and the role of CPS/IOT digital transformation".